You can still enjoy the delicious foods during the festive season by just eating in moderation and balancing it out with the healthy choices. It will make a big difference if you consider the portion sizes and the amount of calories you are consuming. Although our body gets its energy from calories, any excess or unused calories become fat which is not good to our health and well-being. The average amount of required energy per day for each active person is 2,000 calories for women and 2,500 calories for men. Salad dressing – One serving of a French salad dressing contains 631 calories or 88 calories per spoon. Junk food- Snack food may contain 560 calories per 100 gram serving. Fried foods – The most famous fried chicken contains 463 calories. French fries and onion rings contain 373 calories. Processed meat – One chorizo can have 273 calories. Pasta – Two ounces of pasta with meat sauce is equivalent to 75 calories. Do and maintain your normal eating schedules. Start the day with a healthy breakfast and do not skip any other meal of the day. Try to have wholegrain/wholemeal breads or cereals combined with fruits. If you will attend a party make sure to eat a light snack prior the gathering for you not to fill up your plate and also to avoid binge eating. Decide what food you want to eat in a party. 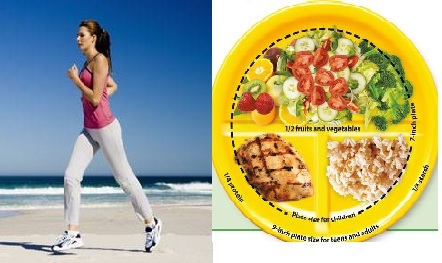 Fill up you plate with a small amount or serving of each food you want to taste. It is recommended that you at least half of your plate is filled up with vegetables or salads. Have time to exercise even at least 30-45 minutes. You can try walking or strolling without hitting the gym to maintain your goal. Keep moving and be active to burn any excess calories in your body. Eat only when you are hungry. Do not binge in small eating like chocolates, pies, cakes when you feel stressed out during the holiday season. In short avoid sweets as much as possible. You do not have to say yes to all the foods served to you. Be smart and choose the healthy foods like fruits, vegetables, lean meat and fishes. Stay away from fried foods. When eating salad choose a light dressing and have fruits for desserts. Drink lots of water to keep you well hydrated. Try to remind yourself about self-control. The festive season is for you to enjoy by eating and drinking in moderation. 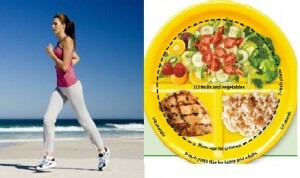 Select healthy foods and have a time for physical exercise. Always remember that it is easy to gain pounds than to lose them. serving or dessert ‘ you could just find the desire slips away. Parents must bring all their ingenuity into play to get approaches to promote balanced good diet for kids, which can be both nutritious and attractive.